Dartmoor Windows work in partnership with a large local fabricator to help create our Liniar profile side frames of your conservatory and K2 Roof, and a local specialist manufacturer to produce the double glazed sealed units. Working closely with our fabricators and manufacturers offers us more control of the quality of the finished product and, in turn, more variety to our clients with the glazing and hardware preferences that go into creating your unique made to measure conservatory. 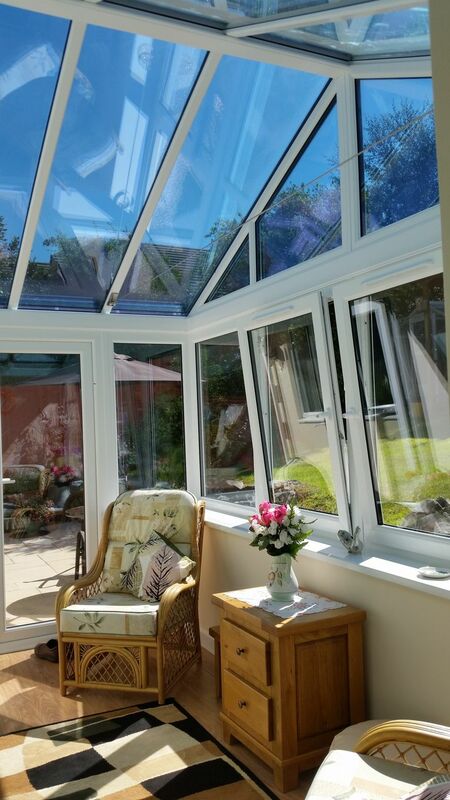 Unlike most other conservatory installers Dartmoor Windows offer the full Turn Key Conservatory experience; meaning we take control of all aspects of the project. We will organise and source all permission's, materials, products and contractors required to complete your bespoke conservatory, leaving you just to turn the key and enjoy the space. Large or small, each build is given the same attention from our highly experienced and dedicated conservatory installation team. GLAZING TECHNOLOGY - Our conservatories are internally glazed with the latest 28mm double glazed unit technology. Our units benefit from Saint-Gobain 4mm Planitherm glass, argon gas-filled air gap and 20mm warm edge black super spacer creating an outstanding thermally efficient unit. This not only contributes towards money saving on heating bills, it also commits to being more environmentally friendly.